btw Ron, that was very cool. thanks for sharing. "The light shines in the darkness, and the darkness has not understood it." Thanks Ron, and thanks to the woman who walked the walk and took the time to "get to know" our Bob. Very cool, Ron. My hat's off to all those who do honor to the memory of those they haven't met. Staying on page one where it belongs. Happy 4th of July brother. Miss you. 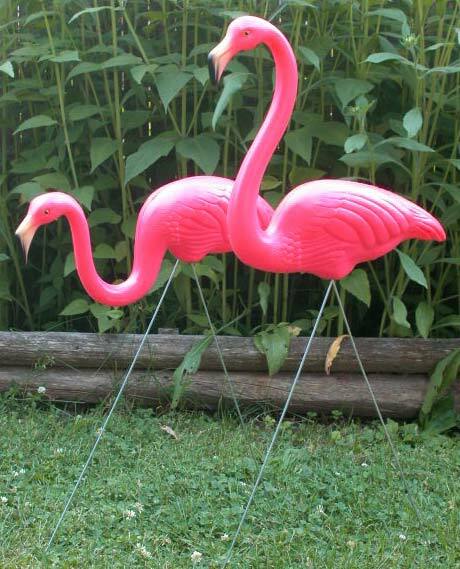 The Pink Flamingos are in the yard. Even though he was a bet welcher, miss ya big guy. Me too. I think of him often. I didn't know Bill Ector, and I never got to meet Bobo face to face, but it seems that two very good guys have passed this way. We were fortunate, and better for the contact. Here's to the good guys. I'm terrible with names and dates...but is tomorrow (7/11) Bob's birthday? Seems like I remember it was the 11th...or maybe the 15th? Also doesn't matter if he's here in the flesh, Bob still lives in our memories...so Happy Birthday! Yes, Jim... tomorrow is Bobo's birthday and you are right, he will always be with us!